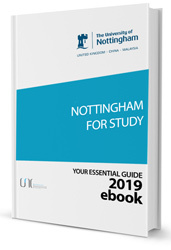 We help the students who are seeking admission in Nottingham University (Or any other University in Malaysia), in everything from the application process and visa application and documentation to arranging for their accommodation – and even arrange to pick up the students from the airport and all in FREE of charge. We make the students familiar with the life in Malaysia and in Nottingham University, with the help of our extended services that will make every student feel at home. In simple words, If you are looking to study in Malaysia, we will basically do everything needed that you don’t have to look anywhere else. For details about our services click here. To get started right now or for your inquiries or if you want to study in Nottingham University, visit our Online Malaysian Universities Application System (OMUAS) or fill out the Register form from the right side. Someone from our team will get in touch with you at the earliest and will take you through the entire process – clarifying all your doubts and answering all your queries. After registering with us you can log in and upload your required documents and that is the only thing you will have to do in this whole process, we will take care of the rest. National Secondary School Certificates with 80% and above grade. Diploma from recognized institutions with min CGPA of 2.5. Alternatively, for some programmes candidates will be interviewed before accepting he admission. A bachelors degree from a recognised university will be considered for masters programmes entry. Typical minimum GPA requirements from Malaysian universities are GPA 2.8 to 3.0 out of 4. A masters and bachelors degree from a recognised university are usually required for PhD entry. Typical minimum GPA requirements from Malaysian universities are GPA 2.8 to 3.2 out of 4.0. 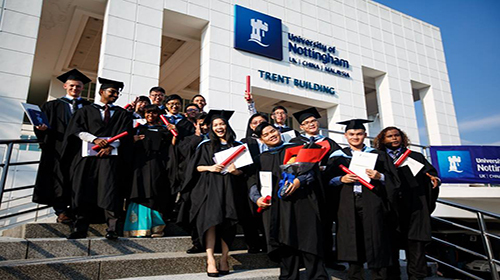 English language Requirement for admission in the University of Nottingham Malaysia: All foreign students are required to take English language exams to qualify for the admission. It is important to complete TOFEL (Test of English as a Foreign Language) or IELTS (International English Language Testing System) with required scores based on the course or the program. For detailed chart of English Language Requirements and Programme Fee's click here. Also, if by any chance you don't have the above qualifications in English, You can not apply for studying in Nottingham University Malaysia. UNMC does not offer any English course study for the students and hence you must first apply for an English language institute before applying g for UNMC. The list of documents for the purpose of admission to Nottingham University, are provided on here. The on-campus apartments are comfortable and offer different types of rooms at different affordable rates. The cost of accommodation absolutely depends on the room types those include Single deluxe room with en suite bath and AC, Single with shared en suite bathroom with AC, Twin shared in 6-bed flat, four shared room etc. 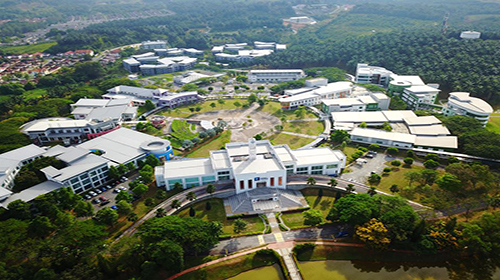 The off-campus accommodation at UNMC is at a distance of 2 Kms from the campus in Taman Tasik Semenyih district. Also Uni village center is there exactly opposite to the University entrance where accommodation for the UNMC students are allowed and they also provide 24/7 security through CCTV cameras all around, including the other facilities. 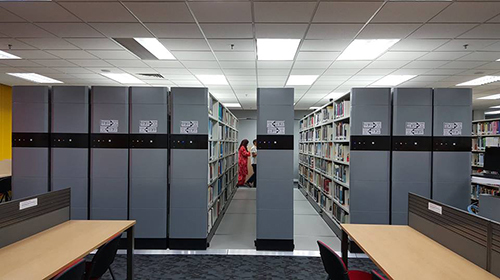 Some excellent facilities are available for the students of UNMC. From Libraries to sports facilities - everything is easily accessible. There is also the Y.M. 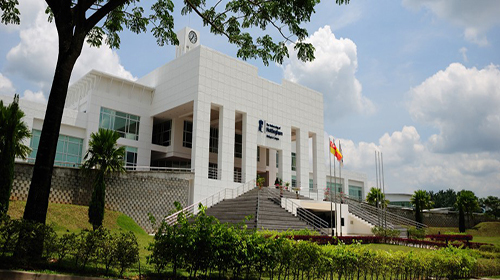 Tengku Tan Sri Dato' Seri Ahmad Rithauddeen Sports Complex where the use of the sports facilities is free of charge and available to all students. 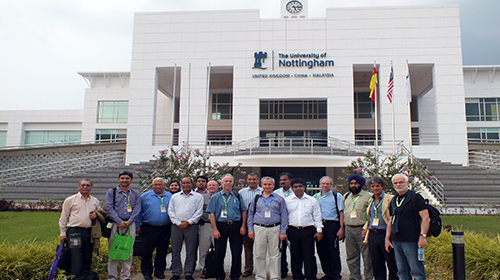 Also the alumni of Nottingham University welcome to make the best use of the Kuala Lumpur Teaching Centre (KLTC). It is located within the Chulan Tower in Kuala Lumpur city centre. Nottingham University offers a wide range of programs for the students to choose from. In the following tables, we have listed their available programs along with the tuition fees. For detailed chart of Programme Fee's and English Language Requirements click here. Applicants are selected based on their academic results / achievements, qualities of leadership and the socio-economic status of their family. There are various kinds of scholarships , such as High Achievers Scholarship, Dean’s Excellence Scholarships, Alumni Scholarships, Family Scholarship - Children of Alumni, Faculty of Arts & Social Science Taught Postgraduate Scholarship etc. available in UNMC for Malaysian and international candidates as well. Other than such scholarships there is also an arrangement of financial assistance through providing loans. Tertiary education is a big financial institution. Therefore it is essential to plan ahead and know about the various options and sources that are available to help finance your study costs. 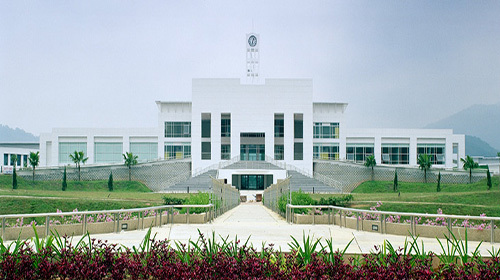 The university of Nottingham Malaysia Campus or UNMC started its operations in the year 2000 and was the first campus of the British University in Malaysia and one of the Universities, which earned a distinction of the queen’s award for enterprise in 2001. The Malaysia Nottingham University was rewarded with queen’s award for industry (international Trade) in the year 2006. 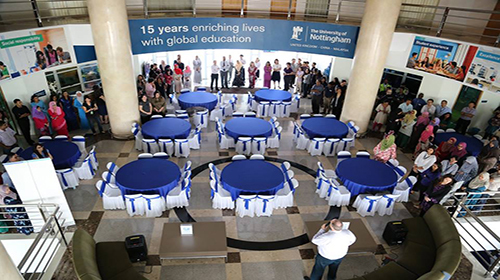 Nottingham University Malaysia campus has celebrated its 15th year anniversary in 2015. 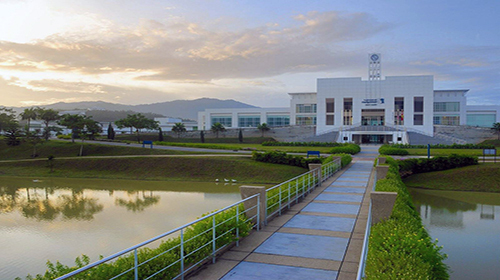 The campus moved to the newly built campus in 2005 in Semenyih, which is around 30KM south of Kuala Lumpur city. The location is a visual treat with beautiful surroundings, where a set of overlooking green hills has spanned over 125 acres around the campus. The university is a self- contained and self-sufficient village in itself, with more than 7500 students. The university offers the same courses and degrees, which are available in the UK and the courses are lectured in English.